Finger Lickin' Lacquer has teamed up with Sweet Hear Polish to create a spooky duo. The Tower of Terror Duo was inspired by the Twilight Zone Tower of Terror thrill ride. It's sure to give you chills! A Most Uncommon Elevator is a squishy red jelly loaded with gold and glow in the dark glitter. The formula is a little thick, but it's due to the fact that it has so much glitter in it. While it is a bit thick, it was incredibly easy to work with. Pictured above is three coats with no base color. 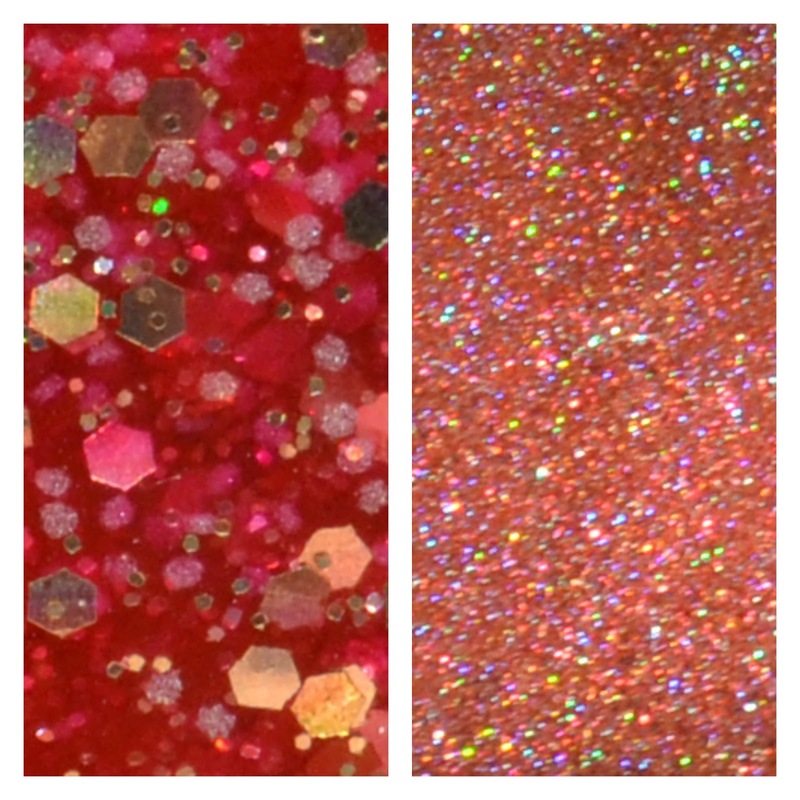 Shadow and Substance is a medium red to brown holo. The formula was a nice consistency and spread easily. I did notice a bit of streaking, but it was easily fixed with quick brushstroke to even out the color. If you use ultra thin coats streaking shouldn't be a problem. Pictured above is two coats with no undies. The Tower of Terror Duo is currently available through Finger Lickin' Lacquer and Sweet Heart Polish. The duos are limited, so don't hesitate to order one soon! There both nice! They look good together too. Great duo! GITD glitter might be the coolest thing ever.